SAN DIEGO — California Republican Rep. Duncan Hunter, who won re-election while facing federal corruption charges, promised constituents Wednesday it will be “business-as-usual” in his deeply red Southern California district, but some wonder whether that will be possible. 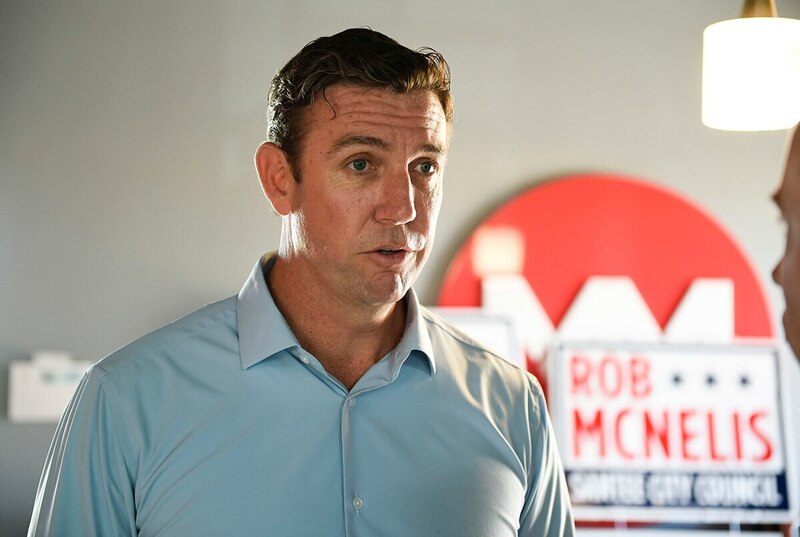 California Republican and Marine Corps veteran Duncan Hunter called the indictment against him a political attack aimed at hurting his re-election chances. The Marine Corps veteran turned Republican lawmaker faces more than 20 years in jail on federal corruption charges.